When lives, safety and security are at stake, there’s no room for human error. Black Sage’s UASX system uses automatic target classification, video tracking and threat prioritization to automate the CUAS detect-identify-defeat process and operate relentlessly, 24/7. Low SWaP sensors, camera systems and effectors combined with outstanding software delivers greater capability at significantly lower costs than incumbent defense contractors. UASX fits into three ruggedized plastic cases and is lightweight enough to travel as checked luggage. When rapid deployment is necessary, the complete system is unpacked and set up in less than 30 minutes, saving valuable time and resources. UASX stations are modular and enable scaled coverage across large geographic areas using existing point-to-point radios, cat5/6 or fiber networks. Radars, cameras and effectors are registered with a central hardware component and positioned according to unique requirements of the site. Multiple range capabilities are available to accommodate the needs of small sites and large campuses. Vamtac and Humvee mounted counter-UAS systems enable extreme long range protection against UAS threats. Cockpit integrated command and control and rapidly deployable carbon-fiber mast and sensor payload make for a timely and rugged solution for forward operating bases and remote VVIP applications. 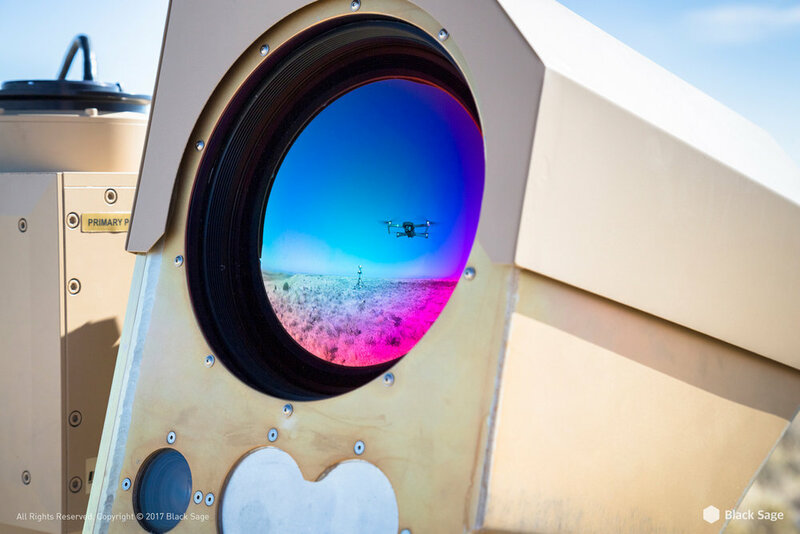 Active radars are used to detect UAS positions and provide a constant stream of characteristic data to the AI target classifier which trigger actions, effectors and alarms in the system. Automatic target classification and video tracking are used for identification, enabling a fully automatic operation or an optional man in the loop to visually confirm craft and payload. RF jammers are used to defeat UAS, disabling comms with GNSS satellites and operators. 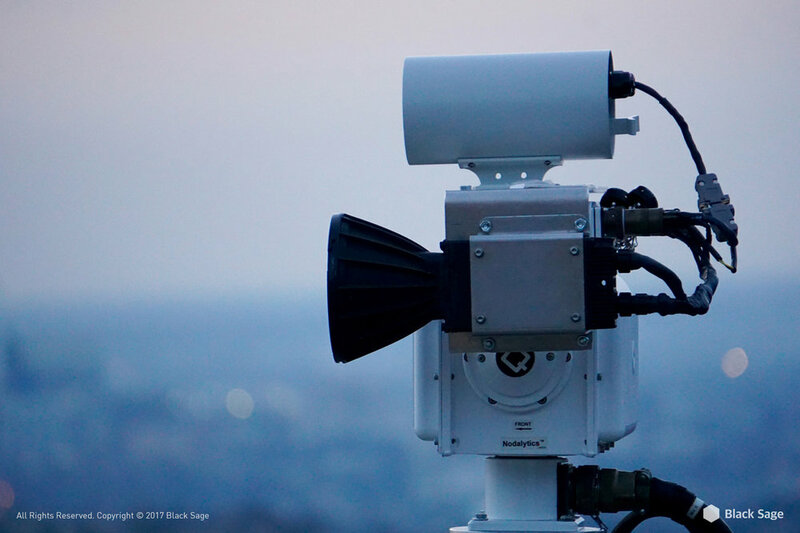 Illuminators and lasers are also available to deny imagery capture of sensitive sites.